“In this Grammar of Molding – Theory & Practice class, students will be taught to identify and name the individual molding profiles of the Doric order. They will also understand the purpose of each profile, it’s tectonic function and the reasoning for it’s placement in the classical orders. 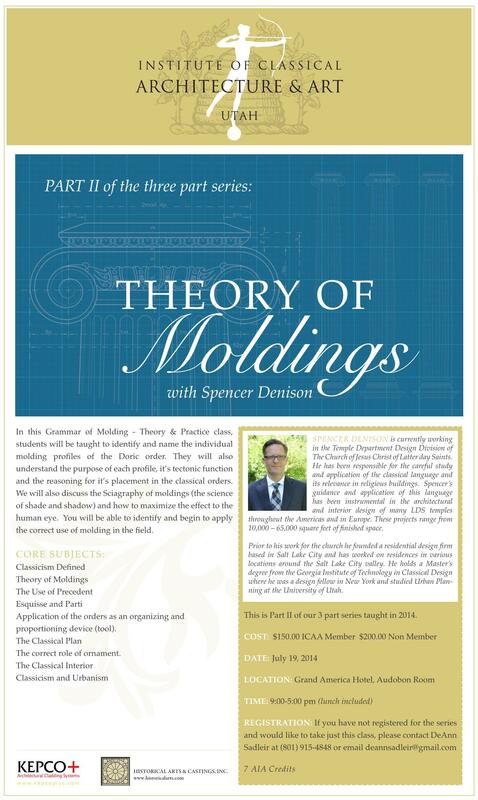 Join us for Part II of the Classism Defined series titled “Theory of Moldings” on July 19th, 2014. This course will be taught by Spencer Denison.